Kingwood Township is one of the western townships of the County. It is shaped like a keystone or a wedge with the narrow end to the south. It was originally established around 1746 when it was separated from Bethlehem Township. Its present boundaries were established when Franklin was separated off in 1845 and when part was given to the Borough of Frenchtown in 1876. The township of Kingwood is still mostly rural with many active farms. It is situated on the Delaware River from just south of Byram to Frenchtown, extends to Alexandria and Franklin Townships to the North and East, going south via Locktown and across the north of Delaware Township to the river. It comprises thirty-five square miles. Kingwood Township contains a number of little villages. The village of Kingwood itself is where the earliest settlers resided. Byram is a former summer colony, on the Delaware Rivers. About three miles north of Byram, also on the river, is Tumble Station at the foot of Tumble Falls. Frenchtown is also located along the banks of the Delaware River in Hunterdon County, bordering Alexandria and Kingwood Townships, just south of Milford. 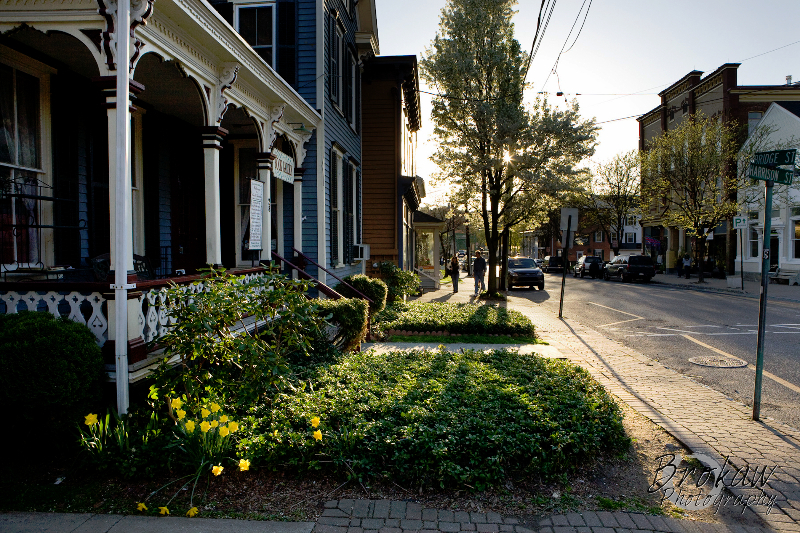 Extending one mile along the Delaware River, Frenchtown is a principal destination for river activities , as well as shopping, dining and a return to simpler times. Most of the borough’s residential and commercial activity lies close to the river. The size of the community is 1.3 square miles. 2010 census figures put the Frenchtown’s population at 1,473, not much more than it was in 1930, when 1,139 people were said to live here. Kingwood Twp Real Estate Homes For Sale. Kingwood Twp Closed Real Estate Transactions.